DHAKA, March 8, 2015 - A Bangladeshi woman paints her face with colored powders to celebrate Holi festival in Dhaka, Bangladesh, March 8, 2015. 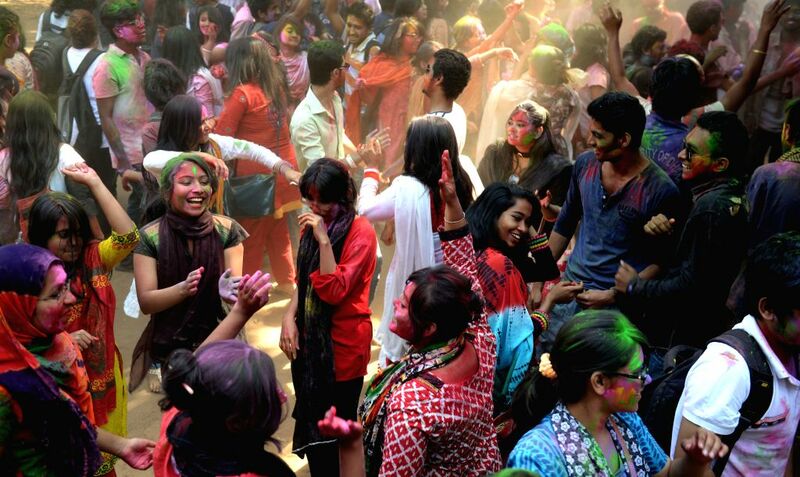 Students of Dhaka University dance with colored powders to celebrate the Holi festival in Dhaka, Bangladesh, March 8, 2015. 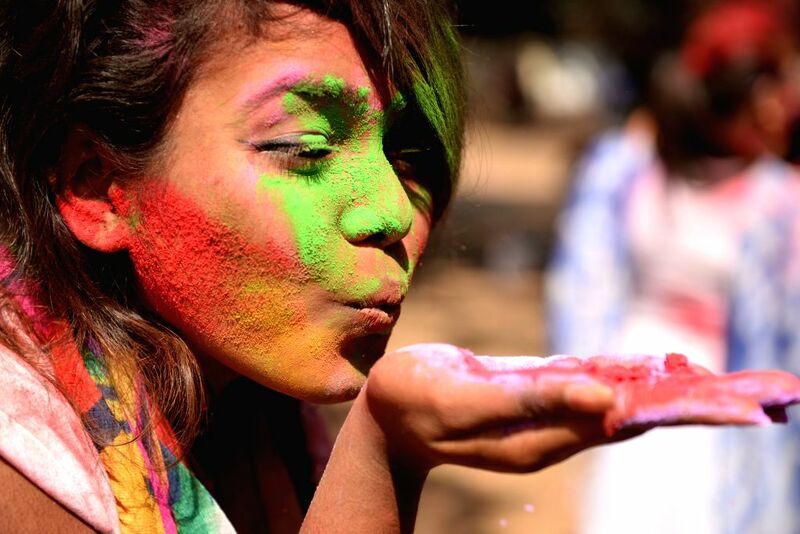 The Holi festival is a carnival of colors, which is celebrated to mark the beginning of the spring season.